In many areas, Australia’s temperate zones and coastal ecosystems have been extensively altered, many wetlands have been degraded. Climate change, and introduced plants and animals (invasives), are the agents of the radical changes that are tearing through Australia’s environment. The result? Dramatic declines in the distribution and abundance of many species, with natural resources such as water now going scarce. 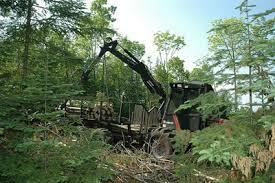 When forests are cut, the salinity of the soil can greatly increase. As a result, saline water draining from such areas can affect downstream or downslope water quality. It is estimated that around 7% of the agricultural area of western Australia is suffering from this problem following deforestation. Moreover, studies in Australia’s wet tropics show that soils have limited capacity to recover from deforestation. This adds to deforestation’s price tag. Australia’s Commonwealth Scientific and Industrial Research Organisation (CSIRO) estimates that land degradation costs about $1 billion annually. Because of clearing activities for agricultural land, around 13% of Australia’s original vegetation has been removed since European settlement. Overgrazing is one of the main pressures on biodiversity in Australia. Grazing and various agricultural improvement strategies have modified vast areas of grasslands and open grassy woodlands. In temperate ecosystems, less than 2% of the original grasslands remain. Moreover, overgrazing promotes desertification and erosion, and is also seen as one cause of the spread of invasive plants. Overfishing has already decreased part of Australia’s fish stocks to dangerously low levels. Two major factors account for this problem; the fact that some areas have low biological productivity (and hence fish stocks do not regenerate quickly), along intensive fishing efforts by commercial and recreational fisheries. In 2005, 17 of 82 species that were assessed in Australian waters were classified as overfished. Species that remain subject to overfishing and/or are overfished include the southern bluefin tuna; blue warehou; silver trevally; orange roughy; and bigeye tuna in the Pacific and Indian Oceans beyond the Australian Fishing Zone (AFZ). Patagonian toothfish is one of the two largest species of fish occurring in the Antarctic, reaching up to 2.2 metres in length and up to 100 kg in weight. Initial estimates indicate that the Patagonian toothfish lives for up to 47 years. The Patagonian toothfish grows slowly and reaches spawning age after 10 to 12 years. Its diet is based on squid and prawns. 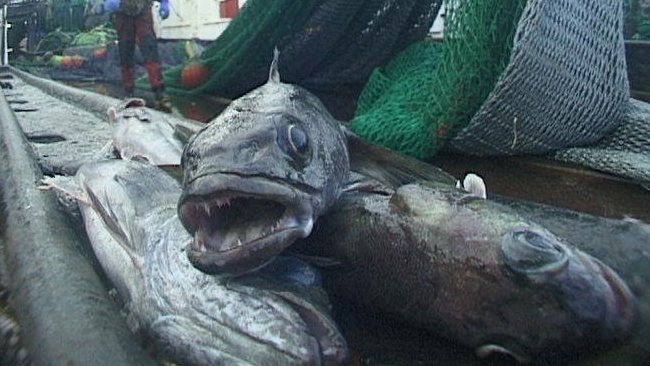 Illegal fishing places further pressure on some species, with patagonian toothfish in the Southern Ocean and shark (for fins) in northern Australian waters being the worst affected. It is estimated that Australia gains around 20 new pests or diseases each year. Some well-known examples include cane toads, rabbits, willows and, more recently, black striped mussels and red fire ants. Historically, feral cats, foxes and rabbits have been a cause of local extinctions and significant reductions in range for native species through a combination of habitat modification and predation. They are a major ongoing problem. Weeds are an equally significant pressure on ecosystems, with more than 2,500 species of introduced plants now thriving in the wild in Australia. They have invaded every part of the landscape – bushland, rangelands, coasts, rainforests, deserts and farms. Ballast water from shipping has been responsible for introducing more than 250 species, and possibly as many as 500 species, into Australian waters. 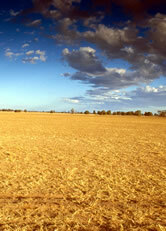 Intensive agriculture is affecting Australia’s coasts and oceans, particularly estuaries and environments near the shore. Modelling predictions estimate that each year almost 19,000 tonnes of phosphorus and 141,000 tonnes of nitrogen are discharged to rivers flowing to the coast. 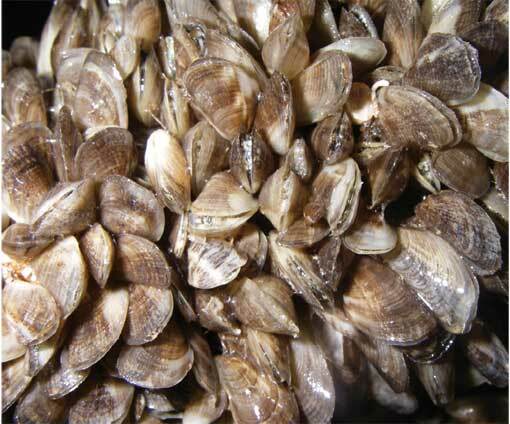 Black-striped mussels are a small marine bivalve mollusc originating from Central and South America. They have spread to several countries in the Indo-Pacific region, and are considered a serious pest because of their ability to rapidly establish huge populations and cause significant environmental and economic impacts. Of continuing concern for Australia’s is continued population growth along the coastline. The formation of massive metropolitan centres with increasing population density on Australia’s coasts could displace much valuable biodiversity and ‘high-value’ agricultural land. Beeton RJS (Bob), Buckley Kristal I, Jones Gary J, Morgan Denise, Reichelt Russell E, Trewin Dennis (2006 Australian State of the Environment Committee) 2006, Australia State of the Environment 2006. Independent report to the Australian Government Minister for the Environment and Heritage, Department of the Environment and Heritage, Canberra. FAO. 2005. Global Forest Resources Assessment. FAO Forestry Paper 147. McLoughlin, K. (ed.) (2006) Fishery Status Reports 2005: Status of Fish Stocks Managed by the Australian Government. Bureau of Rural Sciences, Canberra. V. Rasiaha, S.K. Florentineb , B.L. Williamsb, M.E. Westbrooke. 2003. The impact of deforestation and pasture abandonment on soil properties in the wet tropics of Australia.